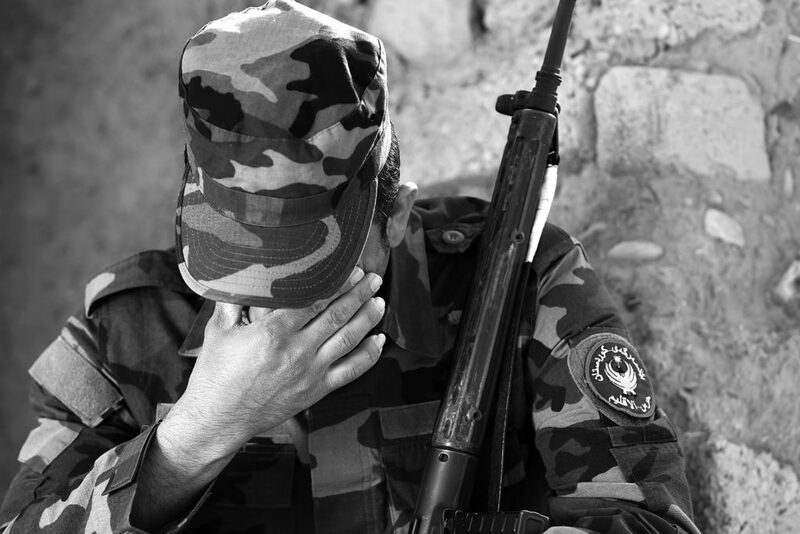 A photo exhibition at City Arts Nottingham offers a new perspective on the continuing war between ISIS (also known as ISIL, IS or Daesh) and the Kurdish State. The photos come from the conflict’s frontline, as well as refugee camps and detention centres. They were captured over two years by Nottingham resident Gaylan Nazhad. The photographs feature in Gaylan Nazhad’s new book ‘101 Beads: Kurdistan in War’. For the exhibition, City Arts has selected 11 images that show the daily existence of people affected by the war. They include photos of children and families that are living a life dictated by conflict. Gaylan Nazhad is a Nottingham based British-Kurdish documentary filmmaker and photographer. Born in Sulaimani, Kurdistan, he has previously worked as a TV presenter for Iraqi-Kurdish news station. After studying Theatre Directing at Sulaimani Institute of Fine Arts, he moved to the UK and began to direct documentary films. City Arts is hosting the exhibition as part of its 40th Anniversary celebrations. Gaylan worked for the Nottingham based arts charity between 2008 and 2011. He played a key role in City Arts’ Artists in Exile project which helped refugee artists in Nottingham to re-establish careers in their adopted city. The exhibition can be seen in the window of City Arts building (11-13 Hockley, NG1 1FH) until 4th July 2018. City Arts will host a book launch for ‘101 Beads: Kurdistan in War’ at 6pm on 16th June. Book tickets via Eventbrite.